From one single fusion at very high temperatures of 1.250°, comes to life a ceramic material qualified as entirely recyclable and therefore 100% eco-friendly, derived from a productive cycle with no pollution emissions into the atmosphere. 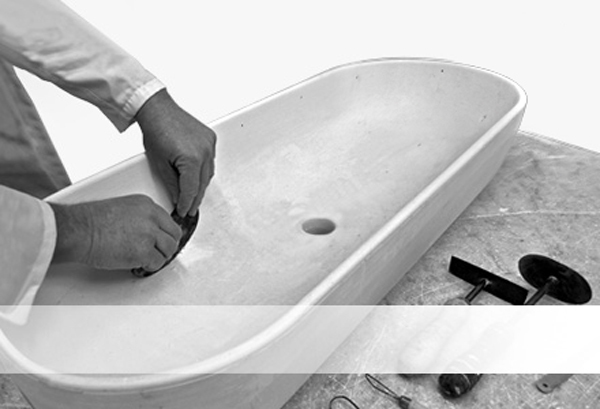 Is a ceramic surface completely scratch-proof, stain-proof, slip-proof, as well as bacterial resistant and can easily replace those products manufactured using resins, solvents and catalysts; materials that are highly pollutant and non-recyclable. 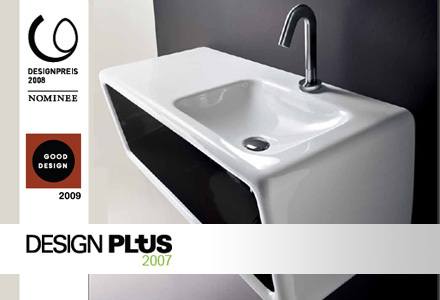 A clear example is the DEEP SYSTEM® washbasin, available in three different sizes for cabinet of cm. 50×50, cm. 60×50, cm. 70×50. 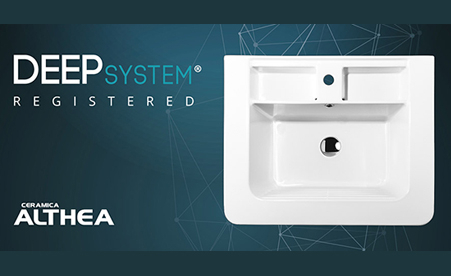 The Deep System® washbasin can be combined both with a wall hung cabinet with push & pull drawer and with a cabinet with doors and chromed legs. Starting from the design of the products, the highest quality of the raw materials up to the production made in the national plants of the company, in compliance with.